Real men dig pink for Breast Cancer Awareness Month. October is National Breast Cancer Awareness month—a time to spread awareness about an illness that not only afflicts 1 in 8 women, but also impacts the spouses, families and loved ones who share their struggle to survive. On October 19, JE Dunn employees in our Atlanta, Nashville, Charlotte, Savannah and Augusta offices along with construction workers on 22 of our projects in the East Region made a statement against Breast Cancer by wearing “Real Men Dig Pink” T-shirts. This is not an illness that affects just women. 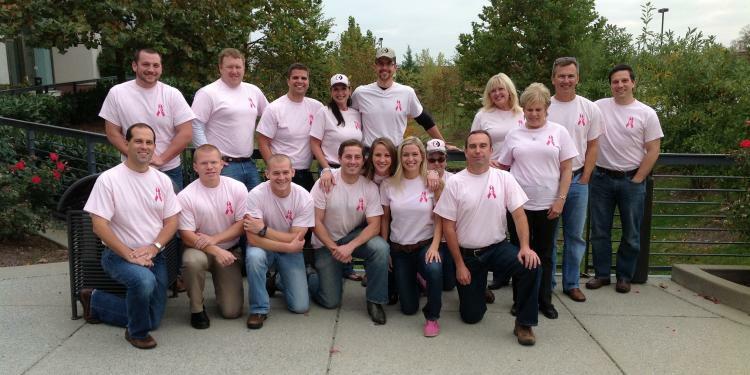 We are proud that so many of our manly men and tough women are not afraid to wear pink for a great cause!